When the traditional fax messaging system was first introduced, it revolutionised the way that business and the world communicated. Today, fax to email technology has again revolutionised the way the world does business. No longer do you need to invest in a dedicated fax line, fax machine and expensive fax consumables. Instead, thanks to companies like FaxFX you can use your PC or mobile device as your fax machine. In fact, anywhere you travel, any time of the day, you now have access to your fax number as long as you have an internet enabled device. What this means is that you can now send and receive faxes at any time of the day, wherever you are. There is no need to be physically present with your fax machine anymore. 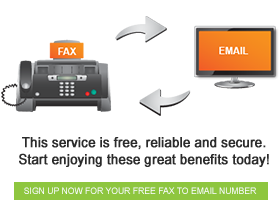 At FaxFX, we provide fax to email accounts that are easy and free to set up. There is no limit to the number of accounts you can register, which means that each of your employees and departments can have dedicated fax accounts of their own. Your business is also no longer charged with paying for numerous dedicated fax lines. Employees can now send and receive faxes from their desks, without even getting up. You don’t have to print out every fax that arrives either – simply view it on the PC and decide if it’s better forwarded to a colleague or printed in hardcopy. These are only a few of the way that email to fax technology has changed the way the world communicates forever.